Our schools are overseen by one central Governing Board. All Directors are selected for the range of skills and expertise they bring to help realise the sponsor’s vision and values for the GEMS Learning Trust academies and to ensure effective strategic leadership and management. Terms of office are four years. The Governing Board delegates some responsibilites for governance to the Operations Committee, the Standards Committee and to Local Academy Boards in each school. 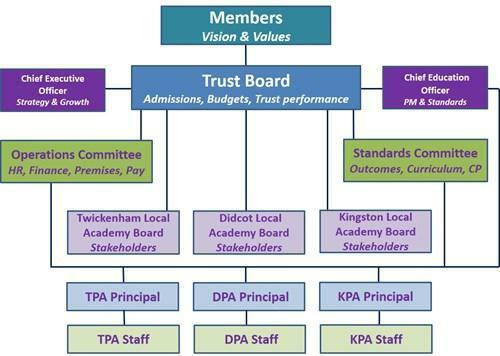 Parent governors sit on the Local Academy Boards. Compliance Observe all statutory and contractual obligations; EFA, DfE, HMRC, Companies House, Charities Law, AFH, Accounts directions etc. Governance To review and approve policies in accordance with the policy review cycle as delegated by the Trustees.